One of the things I’ve always loved about boating is the fascinating array of skills that it has engendered. That includes everything from basic seamanship to weather prediction, from understanding how a diesel engine works to finding the correct technique for sculling. ONE of the things I’ve always loved about boating is the fascinating array of skills that it has engendered. That includes everything from basic seamanship to weather prediction, from understanding how a diesel engine works to finding the correct technique for sculling (making a dinghy move in a straight line with a single oar worked over the stern). And, probably most interesting of all, the art of ropework. Not too long ago, my wife and I visited Chatham dockyard and were privileged to watch a rope-making demonstration in the old ropery – at one time the longest brick-built building in the country. It was fascinating to watch as ropes of all different sizes and made from different materials were created using a technique that dates back to the time of Nelson’s navy. And a book just published by Adlard Coles Nautical — called The Knot Bible — is a must-have for anyone who messes about in boats. Written by Nic Compton, the 287-page Knot Bible is a wonderful reference for a huge range of knots that can be used for dozens of different purposes. There are many different kinds of knots – hitches, bends, loops, lashings, coils, decorative knots, whippings, seizings and splices – and this book provides an invaluable guide showing what each is used for. Any girl guide or boy scout can probably tie five or six well-known knots – but did you know that there are probably around 3,000 different knots? Or that the ancient Incas used to count using knots long before the Chinese invented the abacus? The book is beautifully illustrated – starting off with a section on the ten most useful knots with detailed pictorial instructions for how to tie each one. It also includes a handy ‘knot score’ for each showing its strength, security, usefulness and difficulty of tying. And later on, the Knot Bible introduces the reader to the art of decorative ropework that includes turk’s heads and mats. But beware, you could end up spending hours with the book balanced on your knees and pieces of rope spread all over the dining table! 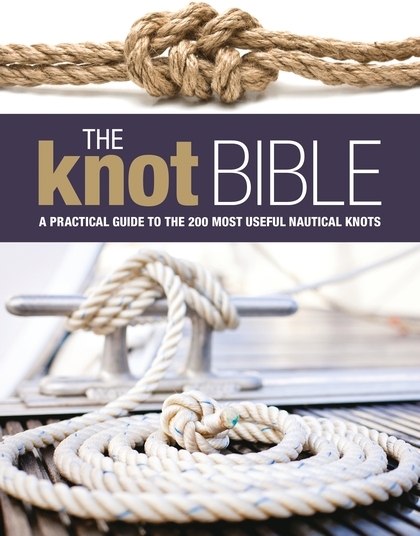 The Knot Bible costs £19.99 and is published by Adlard Coles Nautical. ISBN number 978-1-4081-5476-2. 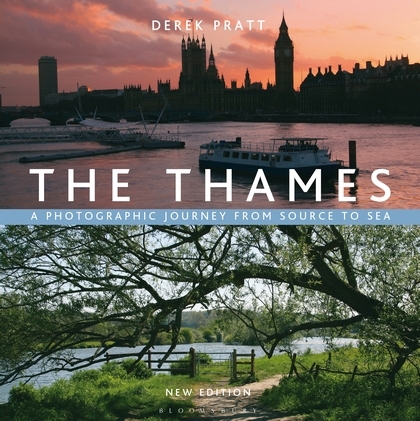 AND whilst on the subject of fascinating books, you might want to think about grabbing a copy of Derek Pratt’s latest work: The Thames – a Photographic Journey from Source to Sea. Derek is a familiar face along Britain’s waterways and has a tremendous collection of photos gathered over 45 years. This book, as its name implies, provides a striking series of images tracing the Thames from its source in the Cotswolds all the way down to Southend Pier in the estuary, punctuated with interesting facts about the towns and villages along the route. The Thames: A Photographic Journey from Source to Sea is published by Adlard Coles Nautical and costs £20. ISBN: 978-1-4081-8693-0.